Unlike yesterday, today’s weather has been great since this morning. The stage performance is just around the corner! I give my best every day! Friday the 18th, we appeared at Music Station. It was the first performance of our 17th single “Influencer”. As for me, I sang the parts before the hook where we sing “munasawagi ga…” and before the last hook where we sing “kyori wa chijimaranai”. Please pay attention to it! I’d like you to see it all…there is a lot to see!!! 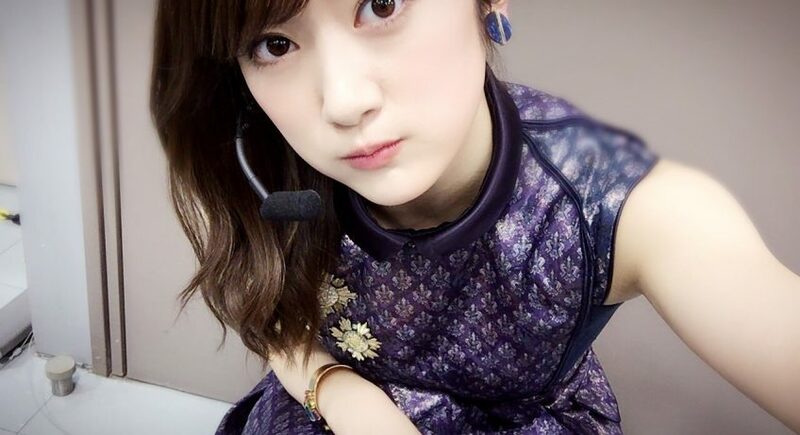 On the 17th, it was the release of LARME. Make-up and hair style can change an impression this much, right. From now on, I came to think that I want to try different things. And today is the 22th! The release of the 17th single “Influencer”! Above is the individual photo. It is on the lyric sheet of Type C.
As for the individual PV, my spirit broke halfway. But if I were to withdraw here and now and not finish this properly, I won’t move forward. It’s a production that made me grow. The cover photo on the regular edition. Individual photo is with type D.
Individual PV is on type C.